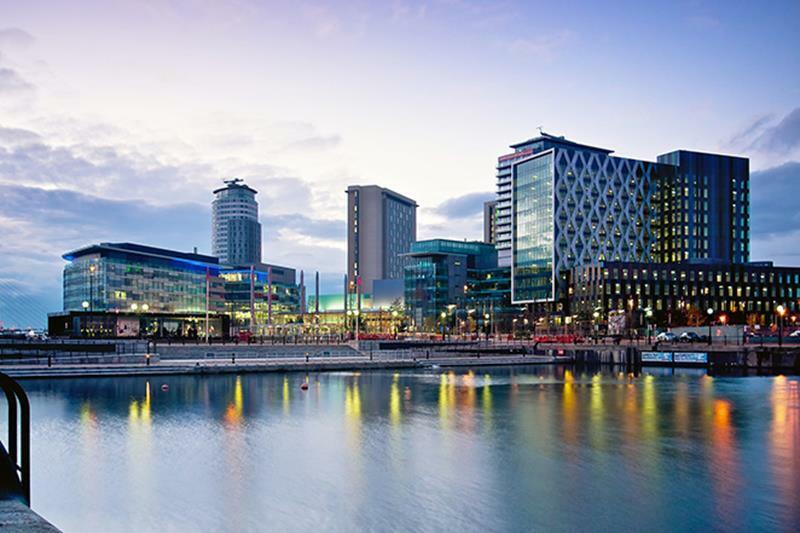 A diamond in the Media City’s crown. 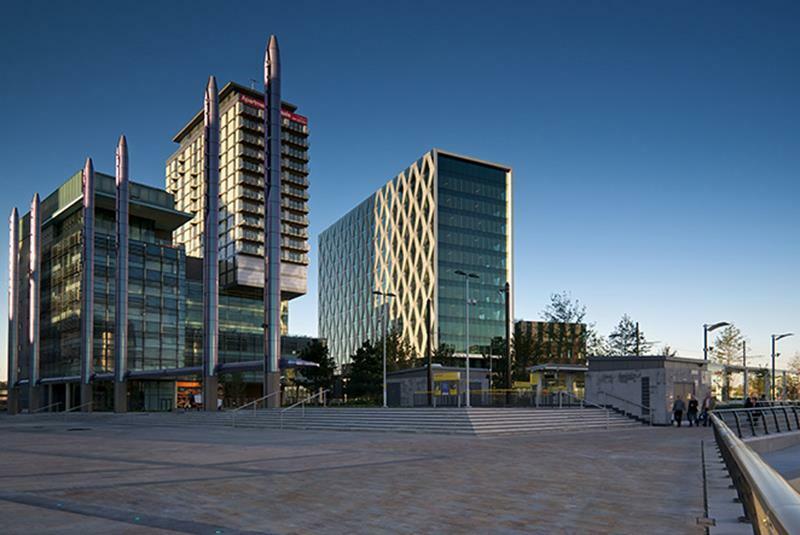 In Manchester, a 55 m-high office and business building was erected in the Salford MediaCity. 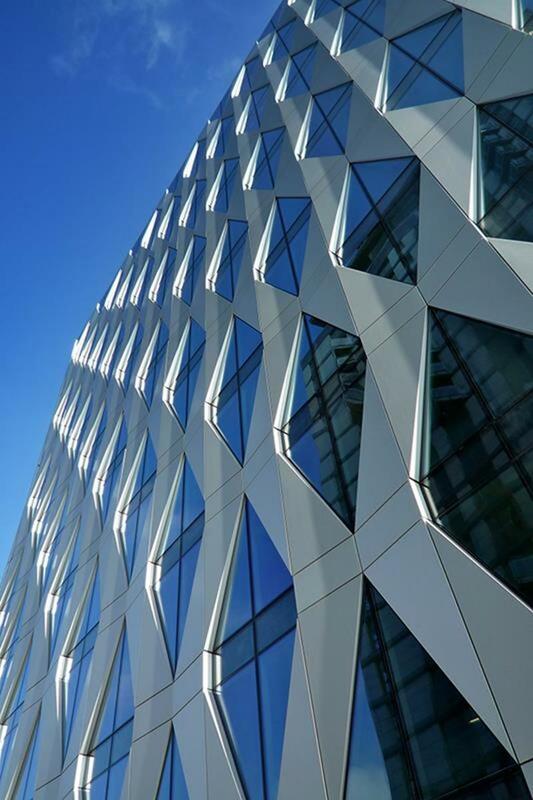 The shell of the building consists mainly of four differing types of unitized facades, whereby the east and west facades are composed of diamond-shaped, naturally anodized, projecting sheet panels and triangular glass panes with a sun protection coating. The northern, southern and parts of the eastern facade are largely comprised by glass elements, or alternating glass and bronze anodized sheets in three varying tones. The podium is of mullion-transom-design, whereby four differing types are again used and two-storey high mullion sections are partially employed. In addition, a glazed roof on a steel substructure is foreseen along with automatically opening smoke vents, various soffit claddings and balustrades.